The Biscuter, or ‘Zapatilla’ (little shoe) as it was known in Spain, was actually built to the design of the French engineer Gabriel Voisin. 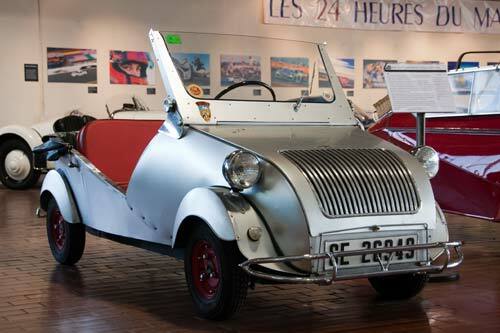 ‘Biscooter’, the French name, was in itself a playful name for a car the size of two scooters. 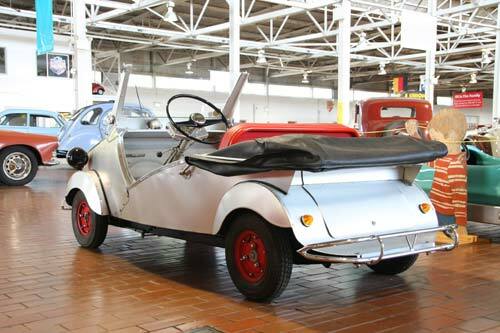 In the early 1950s, Voisin designed a “minimal but capable everyman’s car” for the Compagnie Aeromecanique in Paris. Although it was very well designed, it was not successful in the French market. 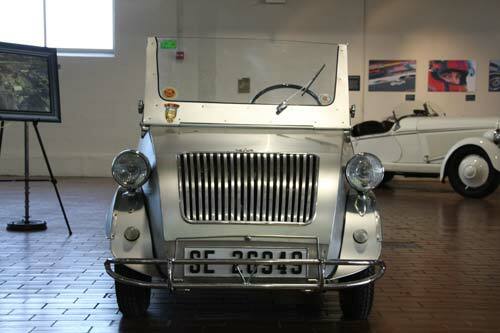 Spain, however, had a ready market for such a car, and Autonacional S.A. of Barcelona licensed the rights to produce it. It truly was a product of its time and place – Spain had endured decades of hardship after the Spanish Civil War and WWII, plus post-war trade sanctions. The Biscuter was small, simple, cheap, and did not demand a lot of resources for production. Only small changes were made for the Spanish market – slight bodywork revisions and a Hispano-Villiers engine being the most prominent. 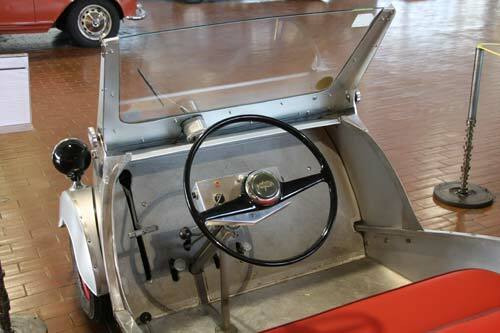 The early cars, the Series 100, were all aluminum, whereas the later post-1957 Series 300 cars used steel bodies with doors and side windows, plus the addition of an electric starter. The nickname ‘Zapatilla’ was fondly given, the shape reminiscent of the local peasant’s shoes. The ease of production and quality of the design elevated it above all of its peers. The Biscuter made its Spanish debut at the Fiera de Muestras industrial fair in 1953 and was popular into the early ‘60s. Voison’s Biscuter played an important role in the post-war mobilization of Spain in particular, and Europe in general.